I was very pleased with the service provided by Bardens Estates Ltd. They were helpful, pro-active and kept me informed throughout. I would definitely use them again and would recommend them to anyone who is looking to let a property. Jane K.
Steve and his team are super professional, organised and offer such a great service. Moving can be so stressful, but Steve made all go so well and helped me in anyway he could to make my move from London to Kent go smoothly. Absolute pleasure to work with! Bardens is a trusted name in sales and lettings around Tunbridge Wells. 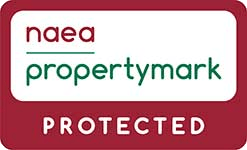 For the accidental landlords, serial landlords or institutional landlords, Steve offers a high quality lettings service this is very good value for money. Aside from this, Bardens also offer a highly competitive service when it comes to selling properties. I have involved Steve on a number of sales and lettings transactions so far and have no hesitation in recommending his quality of service. I've just sold my 2 bed property in TW with Bardens and had such a great experience I feel the need to share! I worked with Steve and he has been very professional and nice to work with, keeping me updated and making the whole process run smoothly. They offer a really good price and very committed service. If I had another property to sell in the area I would definitely use them. Incredibly helpful and experienced. Have had no issues with them at all, and they have done a wonderful job looking after us as tenants. Really excellent Tenant Find Service! We cannot recommend Bardens Estates more highly for the professional and extremely efficient way they handled finding a suitable tenant for our property. They really are the best in the business! Bardens - Gets results - delivers for you. Bardens helped us find our ideal tenant. Steve & his team works hard to look after both Landlord & Tenant. He has a deep understanding of the market & delivers. Very rare do you find an agent who acts with such high integrity- it is to be applauded relative to his peers. I would not hesitate to recommend Bardens to help find the right tenant for your property. Extremely careful and kind support during the selection of our new home.